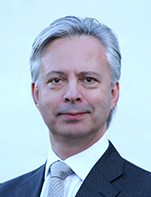 Nick Roos is Managing Director of Maritime Asset Partners and based in London. He has more than 25 years of structured asset finance and banking experience with Deutsche Bank, Tufton Oceanic and HSBC (Midland Bank). During a 19 year career with Deutsche Bank, in London and Singapore, he led advisory and principal finance desks for transportation assets in UK tax leasing, export credit backed debt and structured finance. Most recently Nick was Co-Head of Deutsche Bank's Structured Credit Transportation business, leading the structuring, underwriting and on-balance sheet asset management of the bank's global shipping exposures.